Discover a new standard in safe, effective and affordable IPL Pigmentation Treatment in London. HSA Dermal Clinic is proud to offer a complete range of IPL Pigmentation Treatments for a variety of conditions and skin complaints. Whatever the nature and severity of the issue, you will not find a more capable or committed team of specialists in London. IPL Pigmentation Treatment uses intense bursts of light to break down excessive pigmentation beneath the surface of the skin, safely and effectively eliminating hyperpigmentation with zero downtime. Our advanced IPL Pigmentation Treatment in London can be used to treat small or large hyperpigmentation problems anywhere on the body, with sessions taking as little as 30 minutes to complete. Whether looking to tackle a single freckle or a much larger area for more even skin tone, our IPL Pigmentation Treatment in London comes highly recommended. HSA Dermal Clinic is proud to offer an extensive variety of Hyperpigmentation Treatment to suit most common skin conditions and complaints. Whatever the size and nature of the problem, our cutting-edge Hyperpigmentation Treatment technology has the potential to deliver the fastest, safest and most effective results in no time at all. Rather than temporary fixes, we specialise in the kind of Hyperpigmentation Treatment that delivers long-lasting or permanent results. Using the latest IPL technology, our Hyperpigmentation Treatments can be used on any part of the body to address any number of pigmentation issues. Whether looking to treat just a single mark or a much larger surface area, IPL technology delivers unbeatable results with no downtime and minimal risk of side effects. If ready to go ahead or simply considering the available options, we’d be delighted to hear from you. Contact a member of the HSA Dermal Clinic team today for more information, or to arrange an obligation-free consultation. Why our treatment is better than others? Why our treatment is better than others? With such a huge range of treatments available from hundreds of clinics across London, what makes our treatment the best treatment available for hyperpigmentation? In short, the answer lies in the combination of the technology we use and experience of our team of clinicians. We work exclusively with the most cutting-edge IPL technology the industry has to offer, delivering the fastest, safest and most effective results for every client. Our experience and expertise extend to all examples of common and rare pigmentation problems, enabling us to confidently address even the most challenging skin problems. 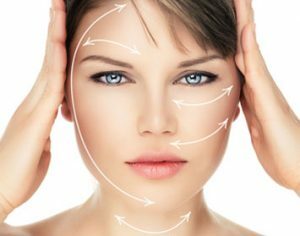 With zero downtime and the kinds of new-generation treatments you can fit into your lunch hour, it’s hardly surprising HSA Dermal Clinic has earned a reputation as London’s most committed and capable. Call a member of the HSA Dermal Clinic team today for more information on any of our treatments.